It is never easy to maintain the condition of my hair. My hair goes through a lot of stressful rough situations. I curl my hair regularly for nicer photos and I practice hot yoga very frequently too. It is also too time consuming to be visiting the salon too often and many of you would agree that it is not cost-effective too. Therefore, it is vital to do hair treatments at home and important to have a reliable hair regime. 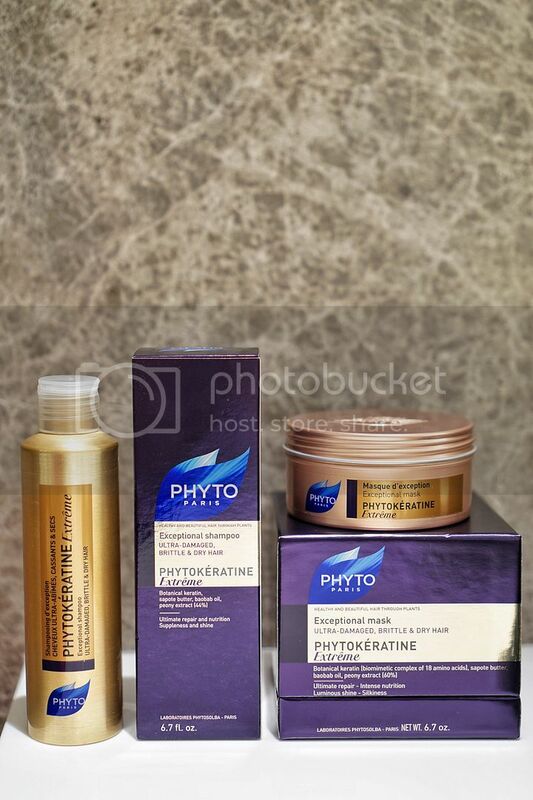 As a pioneer in botanical science, PHYTO now knows how to use the very latest research findings to benefit your hair. For over 40 years, PHYTO has been working with the scientific world to fine-tune innovative products with scientifically proven results through clinical testing and patent submissions! I leave PHYTO's 'Exceptional Shampoo' and PHYTO's 'Exceptional Mask' at the yoga school now. Every time I am in the school, I am there for at least an hour of hot class practice. Me and my hair usually looks like this after class, messy. You can see how dry and rough my hair is! That is why you would never see me take a photo with my hair down during practice because it looks unsightly. I would always secure it in a bun for my photos. You definitely do not need any instructions on shampooing and hair mask treatments so I am just going to share with you why I like PHYTO! PHYTO's 'Exceptional Shampoo' is great for everyday use but for me, I prefer to use it once a day, right after a strong, hot yoga practice. For me, I use PHYTO for damaged, dry and frizzy hair conditions but PHYTO have also successfully treat every scalp and hair conditions such as hair loss, dandruff, sensitive and oily scalps and even curly hair! So basically, anyone who is unsatisfied with their hair condition can try PHYTO and they have been clinically proven to deliver results. After a thorough scrub, I rinse it off. The shot below clearly shows that my hair is softer and smoother- even before the hair mask application. The masterpiece formula is PHYTO's proprietary botanical keratin that works like a filler to fill in the gaps in the cortex. A potent concentration of baobab oil and sapotte butter which is twice as rich in essential fatty acids than shea butter! This ensures complete nourishment and restores the hydrolipidic film. That is how our hair can regain its strength and elasticity. 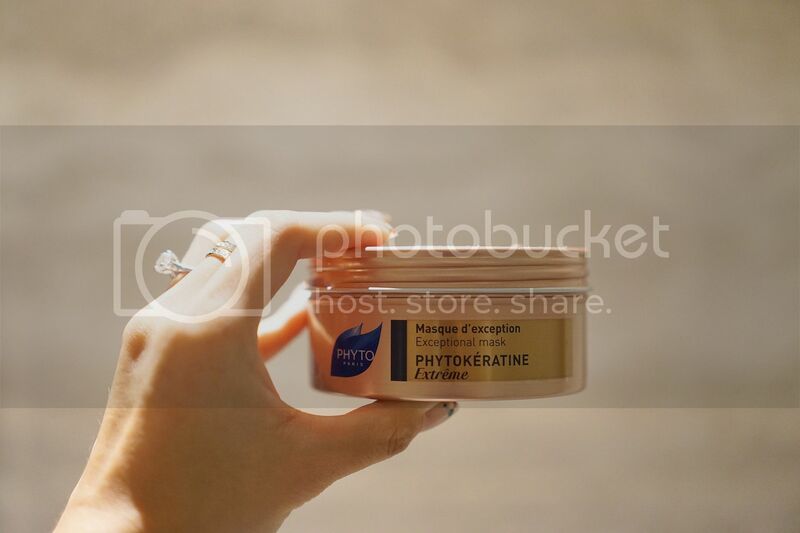 I move on to Hair Masque, PHYTO's 'Exceptional Mask' which I use this about thrice a week. 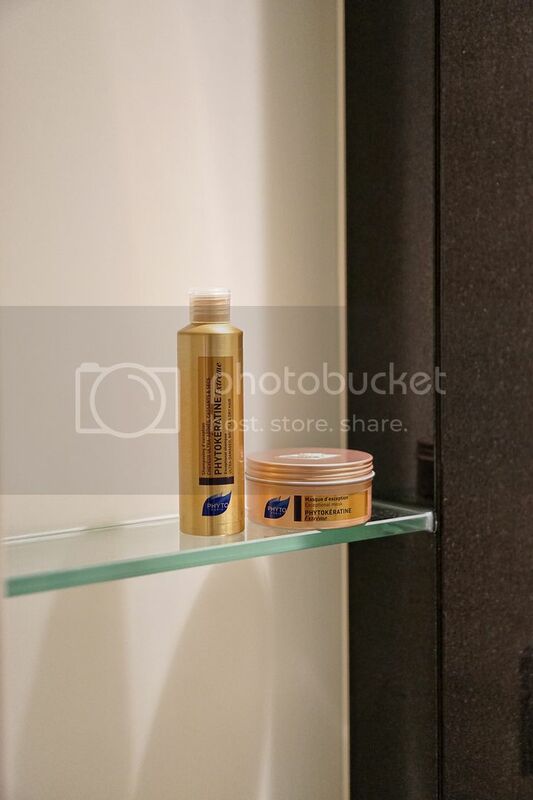 PHYTO's 'Exceptional Mask' has the power to transform very damaged, over-processed hair. If your hair is ultra damaged from heavy bleaching, coloring or heated hair applicators, this mask is a necessity. With PHYTO's proprietary botanical keratin, the heart of 'Phytokeratine Extreme' profound powers of transformation, hair is deeply repaired as its core. This mask, like the shampoo, has a potent concentration of precious baobab oil and rare sapotte butter. Even the driest, most porous hair is renewed, regaining exceptional silkiness and suppleness! Apply a quarter-sized dollop of mask to wet hair, working from mid-length to ends. Do not tough the scalp! For fine to medium textured hair, leave on for 2 to 5 minutes, then rinse. For coarse and very dry hair, you got to leave it on longer, for about 10 minutes, then rinse off. I use mine for about 5-7 minutes! I would usually wrap my hair up in a towel and continue to wash my face and soap my body before going back to rinsing off the hair mask. I let the mask do it wonders and time flies while I continue with my shower. Here's my hair after I blew it dry! I did not put on any further hair oil. 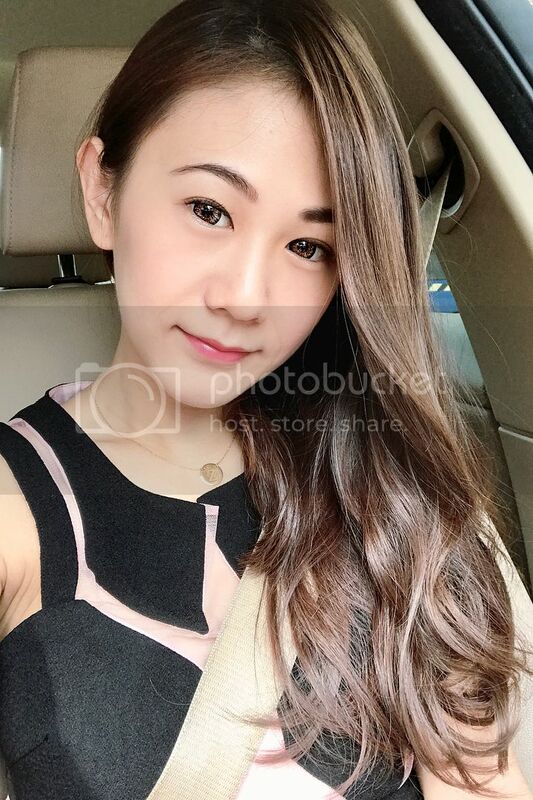 So this is exactly how good my hair look after just the 2 simple hair steps with PHYTO shampoo and mask.